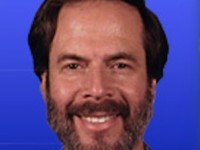 Dr Bruce Berkowsky will appear on the Waves of Healing radio show with host Lea Yekutiel on 4/24/12. Bruce Berkowsky, N.M.D., M.H., H.M.C.– naturopath, master herbalist, classical homeopath, nationally certified in massage and therapeutic bodywork–is President of Joseph Ben Hil-Meyer Research, Inc., formerly naturopathic advisor to the Institute of Applied Biochemistry and a member of The American Naturopathic Medical Association, The Registry of Naturopaths (UK) and the British Naturopathic Association. He is the founder/teacher of both SpiritualPhytoEssencing (SPE) and the Natural Health Science System (NHSS) that he designed during nearly 35-years of research and private practice, and includes traditional naturopathy, herbal medicine, nutrition, exercise as well as East/West healing arts/bodywork and homeopathy. Now, Dr. Berkowsky’s practice is devoted exclusively to the development of custom essential oil blends for spiritually oriented individuals. Also, he teaches in-depth webinars and workshops. He writes two internationally acclaimed e-journals: The Journal Of Spiritual PhytoEssencing and Nature’s Therapies Journal.